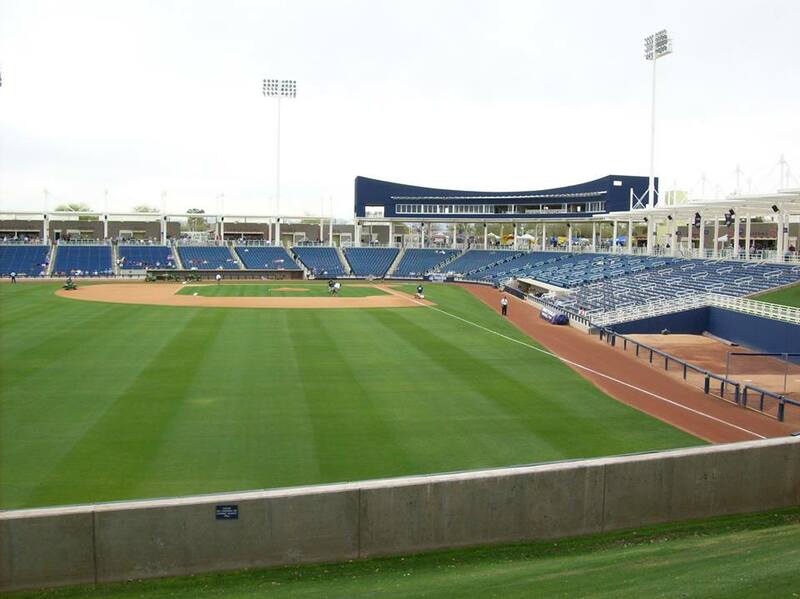 The Milwaukee Brewers on Wednesday released renderings as well as a full description of the renovation project for Maryvale Baseball Park, showing the full scope of the expansion. 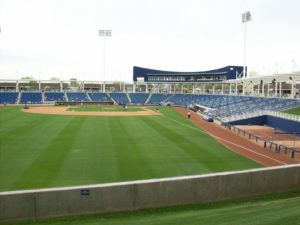 It is scheduled to be completed in time for the start of 2019 Spring Training. Construction will start after the end of the current training camp. The City of Phoenix approved the plan in November and has agreed to allocate $2 million each year for the next five years to the renovation. The Arizona Sports and Tourism Authority will contribute approximately $5.7 million. The Brewers agreed to contribute $56 million to $60 million to the project and commit to remaining at the facility through at least 2042. Brewers manager Craig Counsell called Maryvale the hub for the organization. Bud Selig waits to throw ceremonial first pitch at Miller Park on Monday. 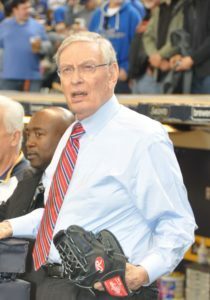 Former Milwaukee Brewers owner as well as former baseball commissioner Bud Selig, threw out the ceremonial first pitch at Monday’s season opener against the Colorado Rockies at Miller Park. The old owner (Selig) threw a strike to new principal owner Mark Attanasio. 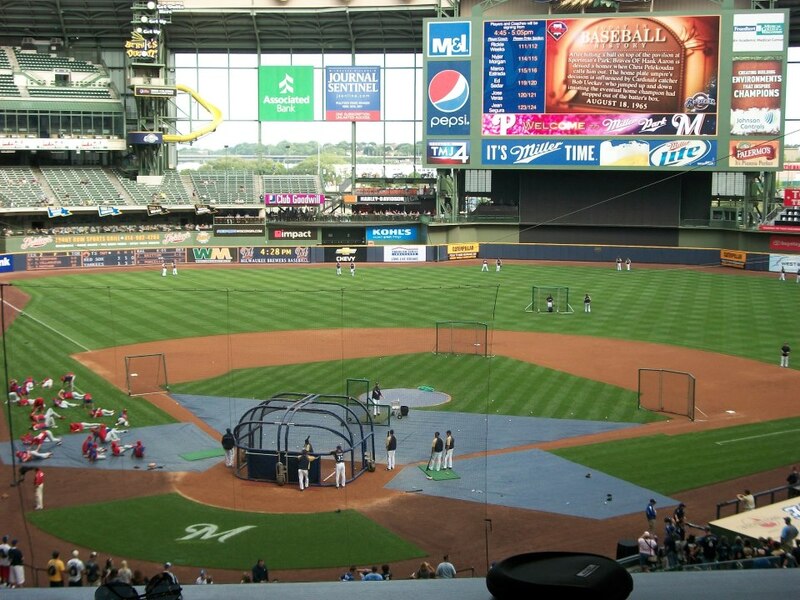 The Brewers honored Selig, who will be inducted into the Baseball Hall of Fame in Cooperstown later this summer. Selig was asked beforehand, about the Hall of Fame honor. Selig will be inducted into the Hall of Fame with former Braves executive John Schuerholz, as well as former players Jeff Bagwell, Tim Raines and Ivan Rodriguez on July 30th. Selig and Schuerholz were voted in by the Today’s Game Era Committee. Brewers end season, now who stays and who goes? 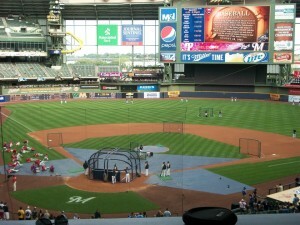 The Milwaukee Brewers closed their season with yet another loss, 5-2 to the Chicago Cubs at Miller Park on Sunday. The Brewers dropped 22 of their last 31 games to finish 82-80. 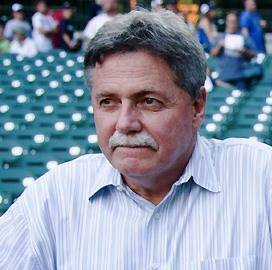 General Manager Doug Melvin has already been told he’ll be around for the 2015 season, but team owner Mark Attanasio failed to give Ron Roenicke and his coaching staff any kind of endorsement. Roenicke is under contract for next season, but that doesn’t mean he’ll be on the Brewers bench. In fact, there’s a good chance he won’t be. 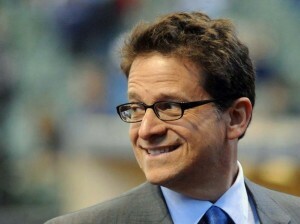 Attanasio is upset by his teams late season collapse and you get the idea that he wants somebody to pay. 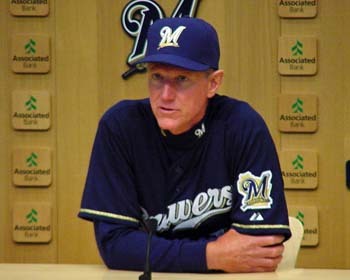 For 150 days, Roenicke had the Brewers in first place in the National League Central. Then the whole team went into an offensive slump that they never came back from. The Brewers managed just two runs on five hits off of Cubs starter Jacob Turner. Mike Fiers suffered his third straight loss, seeing his record fall to 6-5. he allowed four runs on six hits and a walk while striking out seven in six innings. Ron Roenicke will work with Melvin to continue to discuss the Brewers current roster, who should return and who should be gone. After that, it’s Melvin’s turn to deal with Roenicke and his coaching staff.